HTC launches HTC Sense Home APK 8.01.788149 beta to assists users pick apps from smartphone. Technically, this app uses rating to place the most app you used often. Besides apps, user is able to access folders and shortcut immediately based on this rating. The interesting part of HTC Sense Home is the synchronization with location. This app identifies user location and displays host frequently apps and folder. The top place might be music player or entertainment app. The list will change after user goes certain places, especially workplace. This app is available on HTC product. Developer of this app intends to create home-based feeling for users. You do not have to search app for work or place short cut on front page. Putting too many shortcut will ruin your phone appearance and not very effective. After activating HTC Sense Home on home screen, the next step is to set the location. You can select home and workplace based on address and network configuration. Tap location setting then enter your address and Wi-Fi or network setting. This app will recognize your location based on these setting. Basically, this app switches from one address to another automatically. After you are at home, the app detects address on phone from map then home screen changes to match your home accessible list. Sometimes, app cannot recognize your location. For such reason, player might go to manual mode. With this feature, user changes location manually. Having list of your most visited apps can get double effect. For some people, it might ruin your privacy. You surely do not want people know your recent downloaded file or browsing history. To overcome this problem, user is able to change folder or app preference. Keep certain folder away from HTC Sense and make it hide. 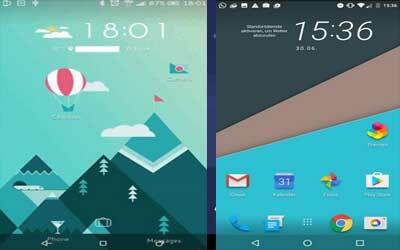 User might select particular app to be on list of HTC Sense Home for android.